February 21, 2017 - Washington, DC and Orangeburg, SC--(HOWARD STIRK HOLDINGS JOURNALISM FOUNDATION, INC.)—Armstrong Williams, chairman of Howard Stirk Holdings (HSH) Journalism Foundation, Inc. and SC State University have entered into a definitive gift agreement under which Howard Stirk Holdings Journalism Foundation will create the Armstrong Williams Broadcast Scholarship Program via a commitment of $250,000 to SC State’s communications and journalism program. Howard Stirk Holdings Journalism Foundation, Inc., Scholarship Program provides an optimal platform for introducing college students from underserved backgrounds to careers in journalism and broadcast media, which has traditionally failed to expose a broad cross-section of America’s young people to opportunities in the field. In its first year, the program will allow undergraduate students to receive scholarships in support of their education as they pursue a degree communications. 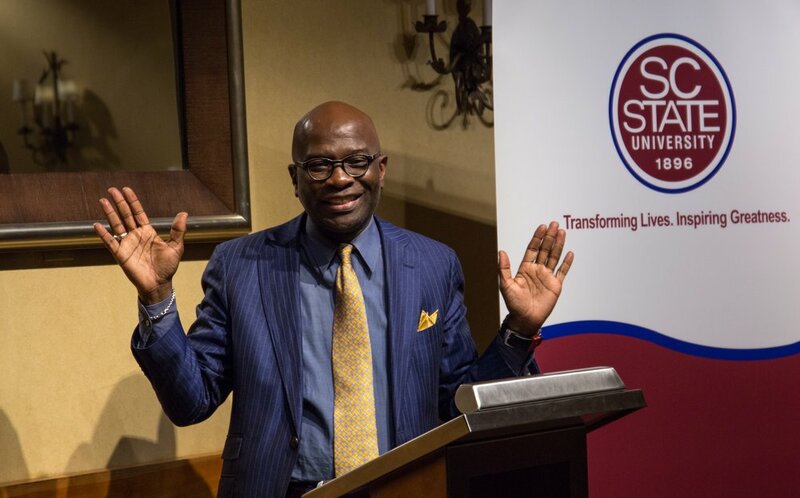 “South Carolina State University is pleased to partner with Armstrong Williams and the Howard Stirk Holdings Journalism Foundation in support of the next generation of journalists,” said SC State President James E. Clark. “Investments such as Williams’ contribution to SC State helps to further advance the academic stature of the university as builds a value proposition for other potential high net worth donors,” continued Clark. As the largest black-owned television broadcaster in the United States, Williams is in a unique position to provide substantial opportunities for minorities in the media industry. The Federal Communications Commission’s (FCC) approval of Howard Stirk Holdings (the stations’ parent company) license applications in March 2015 paved the way for this historic partnership. Armstrong Williams HSH Scholarship program will help advance the FCC and its goals of increasing minority ownership and viewpoint diversity in broadcast media. 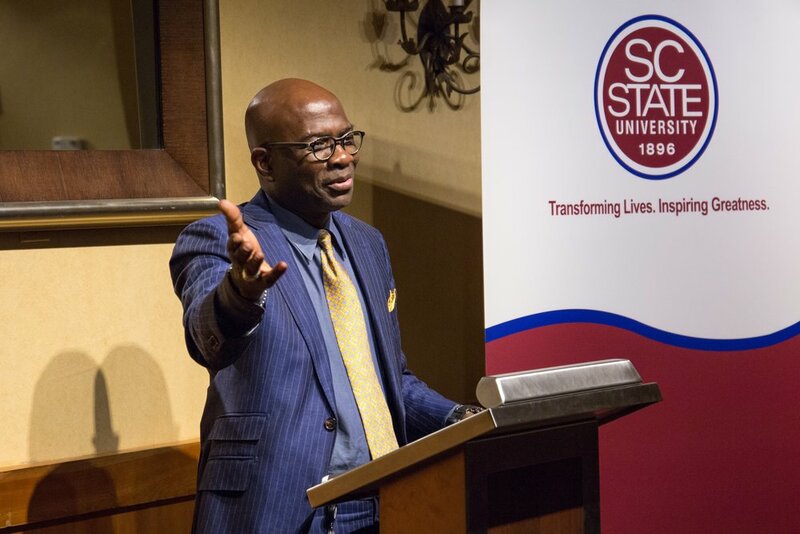 “We are honored by Williams’ commitment to the SC State University Foundation, and we appreciate this significant contribution to SC State,” said Kenneth G. Claxton, ’97, foundation board chair. “We are always excited to receive donations such as this, but we are more than thrilled when alumni demonstrate their Bulldog pride through such significant financial contributions,” said A.L. Fleming, associate vice president for Institutional Advancement and executive director of the SC State University Foundation. “This gift is particularly noteworthy as it is the largest individual alumni gift this year,” Fleming further noted. HSH Journalism Foundation board of directors is compromised C. Boyden Gray, famed journalist Juan Williams, former NBA superstar and Sacramento Mayor Kevin Johnson, Benjamin Crump, Esquire and media lawyer Colby May. The scholarship will be awarded beginning fall 2017. 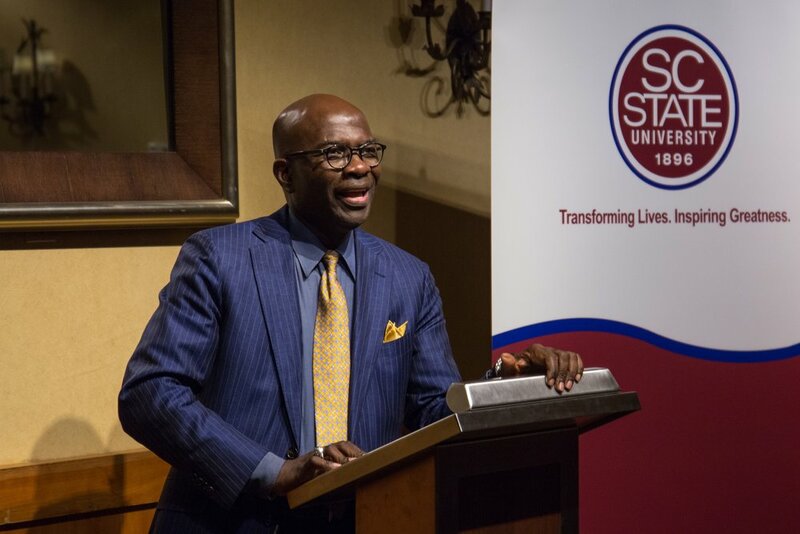 For more information on the Armstrong Williams Broadcast Scholarship, contact the SC State University Foundation at (803) 536-7190. Older PostShermichael Singleton is A Class Act!